.... has to get better, right? "I hate going to the dentist." In most areas of my life, I'm a grown up. I do things I don't want to do and try not to complain too much. I can clean bathrooms, do my taxes, and accomplish many other unpleasant things, but going to the dentist is in a completely different category. I can't stand having my teeth touched. By a sharp metal object. And scraped. I have good teeth. I've never had a cavity. I can't imagine having bad teeth and having to endure this torture more often. Today's torture was even more effective than usual. They used a high-speed water-shooting whirring thingie on my teeth. I had to stop Heidi several times to give me time to shake and whimper and curl up in a corner. I love making a good impression like that. I'm sure she's going to bring a video camera next time so she and all of her friends can have a good laugh at my expense. I wasn't very awake when I went in first thing this morning hoping to semi-sleep through the trauma. I was in jeans and a t-shirt and a wet-hair ponytail and wasn't wearing any makeup. After the water-torture, I was glad that I hadn't taken any time on my appearance. My face and hair were soaked; I'm so glad I was only going home! Since I was out of the dentist's office by 9:30 am, the bars weren't open yet. I had to find some other way to put my ordeal behind me. 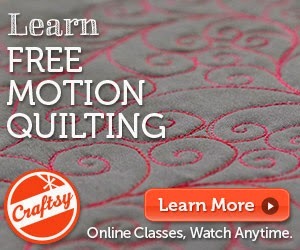 What would a quilter do? I took an hour and cut up my scraps and sewed some completely unnecessary blocks and enjoyed myself immensely. Caffeine withdrawal update: My family is threatening to hold me down and caffeinate me against my will. It's like they think I'm grumpy or something. Harumpf! Like a second day of a killer headache wouldn't leave any reasonable human dying for a Diet Dr. Pepper. I did make some progress in the dining sewing room today. The other day I finished piecing The-Quilt-That-Shall-Not-Be-Photographed (hereafter known as TQTSNBP). Today I finished piecing the blocks for a second TQTSNBP. Once I can show photos I'll show several of them, I'm sure. I have plans to make at least 5 or 6 of TQTSNBP. Yeah, I'm not at all well. This is about the 10th time I've had to withdraw from caffeine. Each time I swear it will be the last. May the headache end soon and may I not be stupid enough to get hooked on caffeine yet again. If anyone needs me, I'll be resting in a dark room. My quilting progress today was interrupted by my incredible headache. I did manage to finish binding an old class sample, though. Today, for the first time ever, I watched a young man hop across a four-lane road with his pants around his ankles. You read that correctly. He pulled his trousers up once on the other side of the road, but they fell down again shortly after. His boxers were blue, in case you wonder. Also for the first time ever, I sat in my kitchen for 10 minutes and watched a deer sneeze. Loudly. Repeatedly. She kept shaking her head and scratching her nose. I'm not sure if she's suffering from the same allergies as the humans in this area or if she was having a serious issue with an insect. My daughter sat with me and watched for a while. And you wonder why we don't need television? "Must-see TV .... the involuntary reactions of wildlife". Ok, so that doesn't really work. About now you must be asking, "Where are the pictures?" Well, the first event was so shockingly sudden that I didn't have time to get the camera out of my purse while driving. The deer sneezing incident wasn't captured due to failing batteries (even though they were new batteries just yesterday). Today's quilting progress was to simply piece the backing of the super-bright quilt. I'll post photographs when it's completely done, binding and all. It's starting to look like a quilt! My daughter suggested that I might be able to tone this down with a calm border. Is it really that loud? I'm thinking yellow border and quilting. We'll see how it goes. Today's progress was piecing the top pictured above and adding the yellow borders. I showed my husband the quilt with borders on it and asked if they had the hoped-for calming effect. "Nothing is going to calm that down," was his reply. The quilt pattern I've made the most of is one of my own. It's terribly simple. I make 160 four-patches from my 2-inch square basket and then set them with 160 off-white squares. There are 20 rows of 16 squares. I add 6-inch borders and the quilt is 60x72 inches, a perfect size for snuggling in a college dorm. I've probably made 15-20 of these quilts, just because the scrap bins keep overflowing. I have 3-4 more of these tops just waiting to be quilted. I know I should retire this pattern at some point, but it's so easy and there are so many little scraps of fabric longing to be part of a quilt someday. And yes, my son came home from college on Saturday for the sole purpose of holding my quilts for photography. I'm trying to finish up a bunch of sewing projects that have taken up my dining room table for far too long. My hope is to make some real progress every day. Today I finished piecing a quilt top that I cannot show you yet. The second I have permission to do so, I shall. My husband says it looks just like me. I'll let you wonder if that's good or bad. I am a gal who loves to nap. Well, I used to love to nap. Now naps are mostly a fond memory. One of the earlier quilts I made was a red/white/black nap quilt for myself. It's lived on the sofa for several years. It's traveled with me to many hotel rooms. I love that quilt. Over the winter I saw P&Bs Pop Parade fabric line and thought it would be the perfect Nap Quilt II. I pieced and quilted it and let it hang as a sample in the local quilt shop for a while. It's been part of my teaching trunk show and now it's bound and ready to be used. Today I was quilting by 6am. I stopped for the day shortly after noon and decided on this very rainy afternoon that it was time for the maiden voyage of the Nap Quilt. Darkened living room... check. XFiles season 1 on the DVD player... check. Nap QuiltII ... check. Cue eerie theme from the television. Ready, set, ...... phone rings. I answered and was fairly abrupt with the caller. Rewind dvd. Ready, set, nap .... for 10 minutes. Then the phone rang again and I had to get up and have a long job-related conversation. But for 10 entire minutes, I napped. It was glorious. The pattern is called Splash. The pattern uses 2.5-inch strips of fabric and looks completely different depending on the fabrics selected. Please ignore the laundry pole. In addition to naps, I love to hang laundry. It's the simple things in life, really. love it anyway. It's PINK! The quilt shop didn't have enough yardage of any one fabric for a back, so I picked four brown and pink fabrics and like it even better this way! May your life be filled with quilts and naps. damental. Does anyone else remember that old commercial? RIF. I remember, and I also remember how to read. Here are some of the books I've finished lately. Lady of Desire by Gaelen Foley. Read from JFK to Dulles to Salt Lake City. I was friends with the author in junior high and high school. We lost touch when I moved away after graduation. Last year I happened on her name on the NY Times Bestseller list and then purchased all of her books. They rock! OK, so they are Regency-era steamy romance novels, but they are good Regency-era steamy romance novels. I read one each time I fly. If her books were available on audio, I'd be finished with them all by now. As it stands, they are a nice treat when I travel. Like chocolate. L.A. Outlaws by T. Jefferson Parker. I listened to this one while driving to and from western Pennsylvania. I really enjoyed it, but I'm meh about the ending. The more I think about the ending, the more I like it. I guess the fact that I'm still thinking about the ending shows it was better than meh after all. Blood and Chocolate by Annette Curtis Klause. Teenage werewolf books? Bring them on! My daughter read it and really enjoyed it, but part way through I had to IM my daughter with a "we need to chat" message. Words every 17-year-old loves to hear from her mother, I'm sure. I needed to chat about finishing the book. Some situations in books and movies make me very uncomfortable and I have to stop reading/watching. I was hitting that point in this book, but my daughter assured me it was OK to continue. She was right. Does anyone else have problems like that? No? Just me? Thought so. Oh, and my daughter told me under no circumstances should I watch the movie of the same name. Apparently it's stinky. The Absolutely True Diary of a Part-Time Indian by Sherman Alexie. This is probably the best book I've read this year. It was written for young adults but it's obvious that the author respects his audience and wrote for them something that is real and desperate and hopeful and lasting. You should check out this little book. Run to your local library. Now. I'll wait. Are you back from the library? Good. Now I can explain by my booklist is so short this week. I worked an absolutely insane number of hours last week and even so didn't finish many audiobooks. That is likely explained by the fact that I watched listened to seasons 1-4 of NYPD Blue while I worked. I had forgotten how much I enjoyed that show when it was on TV. When oh when will they release season 5? Since there are 12 million things I should be doing, I decided to start a new quilt instead. I found my overflowing baskets of five-inch squares and pulled out the bright and happy ones. I'm not sure how I ended up with so much fabric that wasn't bright and happy, but I did and the unhappy squares are safely tucked back in their baskets. The bright fabrics, however, are spread all over the dining room. Tonight I hope to sew them back together in a pleasing arrangement. More pictures as I progress. I don't have a specific source for this pattern. It's been published under a few names and tutorials are all over the internet. .... me having to shop for a baby shower present. I was just invited to a baby shower for a gal in my Bible study. It's in 7 days. In case you are interested, this pattern is from Confetti in the Corner by Terry Atkinson. I adore this pattern and have made several quilts from it. One of them just returned from Bolivia with my son's girlfriend. She brought her quilt so she would be less homesick. If you have the opportunity to watch Alien Versus Predator: Requiem, opt for the root canal instead. In the spirit of finding fun in all things, the subtitles were hi-larious. "(approaching whirring noise)" "(brooding music playing)". Here's to you, Mr. Sub-Title Writer. Strive for excellence even in the most B of B-movies. May you never misplace your thesaurus. For Christmas, can you bring me two new cats? Mine are broken. I dove into the messy dining room after dinner tonight. I cleaned a little. I pieced a little. I listened to a book on my MP3 player. It was wonderful. My 1.5-inch scrap bin is overflowing so I've been working on whittling that down. I've made a quilt like this before. I think one of my son's roommates has it. It uses tons of strips and the simplest quilting finishes it nicely. I also finished piecing a 4-patch scrap quilt. I've probably make 15 of these quilts over the years. Usually they are made from my 2-inch square scrap box. Sometimes I make them with 1.5-inch squares in a nine-patch. In the past I've used a consistent beige and am using scrappy off-whites lately. I think I have three of these tops done now, waiting to be quilted. Several of my son's college friends have these quilts. They randomly pull them out to show Kevin their new favorite fabric. "Look, there's a chicken on this piece." It's so great to know that the quilts are loved. Tomorrow I'm teaching all day, but it's not too far away so I'll get to sleep at home. Then I get to see my boy!!!!! I miss him a lot when he's gone, and it's always wonderful to see the man he's becoming. I'm not sure how I could be prouder of him (but I'll probably give it a try). What to do with a sore ankle? I just received an email from my dear friend asking where on earth I've been hiding lately. I told her I was nursing a sore ankle and she actually laughed at me. I am a high-volume longarm quilter. I work every day. Every. Single. Day. That's normal for me. Sometimes things get even busier than that. In those cases, I joke with my friend that I'm chained to my longarm machine. Hence the sore ankle. After several days of 12+ hours quilting, I pulled a 25-hour quilting marathon this Wednesday/Thursday. I try and avoid that whenever possible, but the photographer was waiting for the quilt. After a wake-me-up shower, I delivered quilts and taught a class. Then I collapsed and spent 16 hours blissfully unaware of the world in my cushy, comfy bed, under one of my wonderful summer-weight quilts. Ahhhhhhhhhhh. Once I was rested and fed, I returned 18 phone calls (yikes! ), worked on paperwork, and did some end-of-school celebrating with my daughter (one year left!). My son is coming home from college tomorrow and bringing a friend. I could spend tonight cleaning the dining room, I guess, to make it look nice for company. Since I have 2 longarm machines in my sewing room, I sew in the dining room. Cleaning might look a whole lot like piecing a scrap quilt. It'll make it feel cleaner, at least. I think I'm not bored anymore. I'm originally from Western Pennsylvania and I used to have the accent typical to the region. I moved away after school and have been battling that accent for nearly two decades. This past weekend I taught a quilting class in western PA and guess what..... it's baaaaack. I'm gonna go "warsh my tahls n'at and hang 'em ahtside"*, and once again try and kick my old accent. Wish me luck. That's my daughter's advice. She's a vegetarian. But when the beef is this yummy, enjoy it! We had some ah-ma-zing grilled steaks at a work dinner on Monday in Utah. I sure do love my job! I owe you an apology. When I first visited in February, I wasn't terribly impressed. You were bleak and dreary and not so attractive. Your residents were very proud of your mountains and I couldn't understand why. I think I was comparing my mountains in the summer to your mountains when covered by the inversion. I just returned from visiting you again. I take it all back. My mountains are special to me, but yours aren't bad at all. This was the view from my hotel parking lot. Cool, huh? The mountains out there are so different than at home. Mine are lush and green and tree-covered. I love to hike in the shade and protection of the forest. Out in Utah, however, they are rugged and bare and grand and snow-peaked. We don't have snow-peaked where I live. I'm going back in October for work and play and look forward to seeing the mountains dressed for yet another season. ... is a carnival in the parking lot. Especially when it's after 9pm and you've driven about 500 miles and just want to shower and go to bed. .... I'd read fewer books. Yet another book finished today: Eleven by Patricia Reilly Giff. It's another young adult book and it wasn't bad. An 11-year-old boy is trying to solve the mystery of his past. Again, I'm not sure how this ended up in my library bag, but it did and I read it and I'm returning it in the morning. I just read Diary of a Wimpy Kid by Jeff Kinney. I think it was written for middle school boys, but it ended up in my library bag somehow. It was short and cute and I'd love to recommend it to my nearly 13 year old nephew. Since I don't have children that age anymore, I'm not sure it's appropriate. The main character was kind of a smart mouth and I don't want to give my nephew ideas (or make my sister angry with me). He's read all the Harry Potter books, so maybe he can handle it? Ideas, please! I just finished The Templar Legacy by Steve Berry. While reading it, I realized that I'd read it once before, only it was called The DaVinci Code when I read it the first time. One of the characters is Danish and the narrator spoke with a wonderful accent that was just like my husband's co-worker. So at least that was good. Red, itchy eyes. Sneezing and runny nose. Wheezing. A cold? Hay fever? Nah. The cats have much less excess hair, but they are hiding under the furniture now. The three humans in the house are all suffering from holding the cats while using our new toy. I dream of a house without cat hair everywhere. No, but it has been a Three Book Day. Killer Instinct by Joseph Finder was a mixed bag for me. I absolutely adored Power Play when I read it in the fall. Sometimes I have to work all night and listening to a book helps the time pass more quickly. That wasn't the case with Power Play. I didn't have to work all night. I started listening to the book late in the day and had to stay up and work until 3-4am so I could finish the book. It was that good. Killer Instinct was more uncomfortable for me. It had a 'Very Bad Things (movie)' feel to it. It resolved itself by the end. I almost bailed on it a few times and I'm glad I stuck with it. I almost finished the book yesterday when driving to and from New Jersey and brought it to the studio to finish while working today. Oh, and one of the discs was scratched. I had to get the book out of the library to find out what happened. Can you imagine? Actually reading? What's next? Abigail's Story by Ann Burton. It was the story of Abigail from the Bible. OK, so it was the author's loose interpretation of what might have been her story. It was an interesting take on the situation and I enjoyed listening on my MP3 player while cutting up fabric last night. I finished this book today while working as well. School's Out -- Forever by James Patterson. I waited over a year for this cd set from the library. It's a great series about genetically recombined teenagers. Worth the wait. If you haven't started this series yet, why not now? Start with Maximum Ride: The Angel Experiment. I have more work to do tonight, so I have another book lined up. Hopefully it will carry me through the evening. Did I mention that I have quite a bit more work to do tonight? I'm taking a couple of long flights in the near future so I'll catch up on my sleep then. ... when I said I read almost a book a day. Last night I finished White by Christopher Whitcomb. I randomly found Black on the shelf at the library when it came out and was blown away. It was intriguing and fantastic. I was so excited when I saw that Mr. Whitcomb had written another book. Reading it, however, left me much less excited. It was entertaining but lacked the impact of his first book. When it ended I was left feeling rather "so what." I listen to several books at a time --- one in the car, one in my studio, and one on my MP3 player. My impressions of those three so far are: mixed, fantastic, undecided. I'll post reviews as I finish them.